After spending two years providing low-income tenants facing possible eviction with pro bono legal representation, Philadelphia's mayor and City Council are taking steps to make the pilot program permanent. 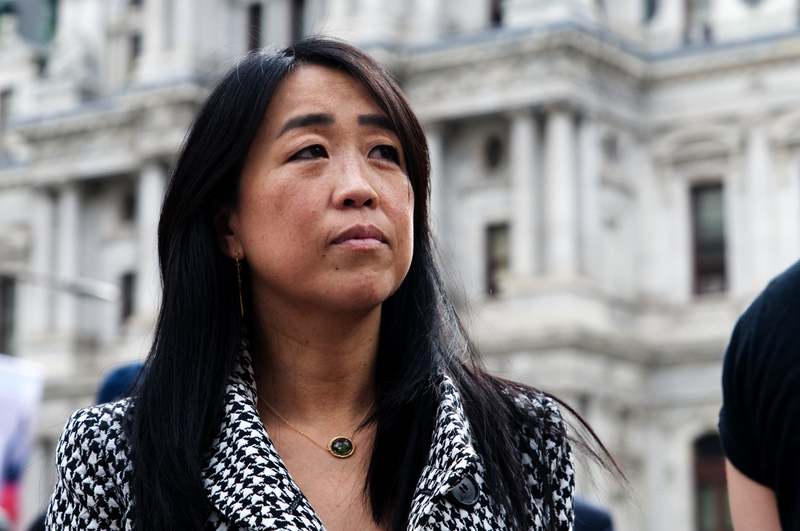 Councilwoman Helen Gym said a bill she introduced this month to establish a permanent legal defense fund is a step towards the ultimate goal of codifying the right to counsel for low-income tenants in Philadelphia. The city has already provided $1.3 million getting the pilot program started over the past two years. "This is an urgent situation that demands a rapid response," Gym told Law360. "We've tried to work responsibly for the last two years, but I think it's time for the city to guarantee the right to counsel and to move our agencies rapidly to get us there." The intensified push to establish a right to counsel for low-income tenants comes in the wake of a Philadelphia Bar Association report released last fall that the city could save some $45 million a year in social services costs in exchange for a $3.5 million annual investment in pro bono representation in landlord-tenant disputes. Providing legal counsel to low-income tenants would close what the PBA's report said was a yawning gap in the rates of representation in landlord-tenant disputes in Philadelphia. While the report said that 80 percent of landlords were represented in cases filed in Philadelphia Municipal Court between 2007 and 2016, only about 7 percent of tenants had attorneys. Philadelphia would join a growing list of cities that have adopted right-to-counsel measures for low-income tenants. New York City became the first jurisdiction to adopt such a program in 2017, and the city has been working to enact it borough by borough since then. According to Neil Steinkamp, the managing director of Stout Risius Ross LLC and author of Philadelphia Bar Association's report, New York has seen promising results in the nearly two years since it offered up the promise of pro bono representation for low-income tenants. At a panel discussion hosted by the PBA last week, he said that 84 percent of tenants who'd received representation through New York's program had been able to avoid being evicted. And as a direct result, the city has saved on services offered to residents facing the prospect of homelessness. "Increasingly, cities are recognizing that this works in their favor," Steinkamp said. A budget proposal from Mayor Jim Kenney released this month would include some $500,000 to help provide counsel to low-income tenants, but Gym said she hoped to be able to boost the figure to at least $850,000 by the time the city's final spending plan for the upcoming fiscal year is finalized. "We'll certainly make it clear that council believes it should be more than the $850,000," Gym said. An $850,000 appropriation would match the amount the city spent last year, the second year of the program, as it worked to ramp up services. The funding has been used not only for legal representation but also to staff a hotline for tenants with questions about their cases. And it has been used to establish a lawyer-of-the-day program providing same-day counsel to tenants who show up to hearings without an attorney. "This is in recognition of the fact that people aren't learning about their hearing in enough to go necessarily go to a legal services agency to do an intake," said Rasheedah Phillips, the managing attorney of the housing law section of Community Legal Services of Philadelphia. The program has also placed workers, referred to as court navigators, in city buildings to ensure that tenants get where they need to go when showing up for hearings. "The value of that is when people come to court, sometimes they're just really nervous and don't know where to go," Phillips said. "It could as simple as something like, 'Where's the bathroom?'" Gym said the work from legal aid organizations and other stakeholders in recent years to provide new resources to low-income tenants had helped to reduce the number of eviction filings in Philadelphia by some 20 percent. But she stressed that the work was far from over, and that passing legislation that would actually codify the right to counsel would be a major next step. When asked about a potential timeline for providing counsel to all tenants facing eviction, she demurred, saying only that she hoped to reach that goal as quickly as possible. "I'm an impatient person," she said.